Students can receive their wake up and reminder calls on any U.S. or Canadian phone number; students can associate multiple phone numbers with their accounts, such as their home phone, mobile phone and dorm phone. 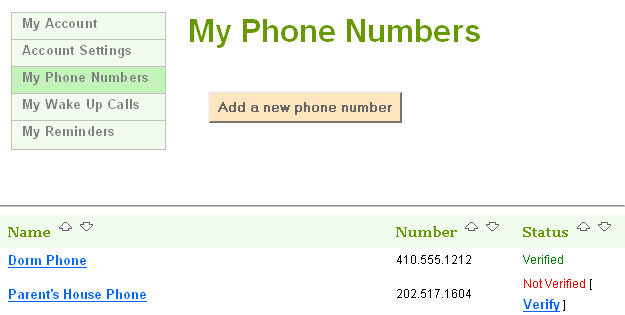 In order to discourage misuse of the service, students are required to verify their phone numbers. The verification process is very simple and only takes about one minute. Copyright (c) 2019 Snoozester, Inc. All rights reserved.